Hands down, this is the Best Sugar Cookie Recipe we’ve ever tested! Learn How to Make Sugar Cookies that everyone will love. These little guys are light, pillowy, and packed with flavor. We’ve got a theme going on this week… Called The Best. 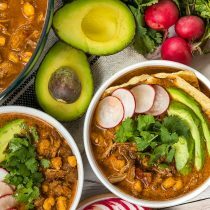 I’m sharing tried-and-true recipes I’ve made dozens (even hundreds) of times, because I’ve never tasted anything better. Monday I posted the absolute best yeast roll recipe I’ve ever made, and today I’m sharing The BEST Sugar Cookie Recipe. Learn How To Make The BEST Sugar Cookies With This Fun Recipe! This is the end-all of sugar cookies, friends. Better than your grandma’s, may she rest in peace. Better than that fancy bakery down the street. And sure as heck, better than any grocery store sugar cookies you’ve ever tasted. 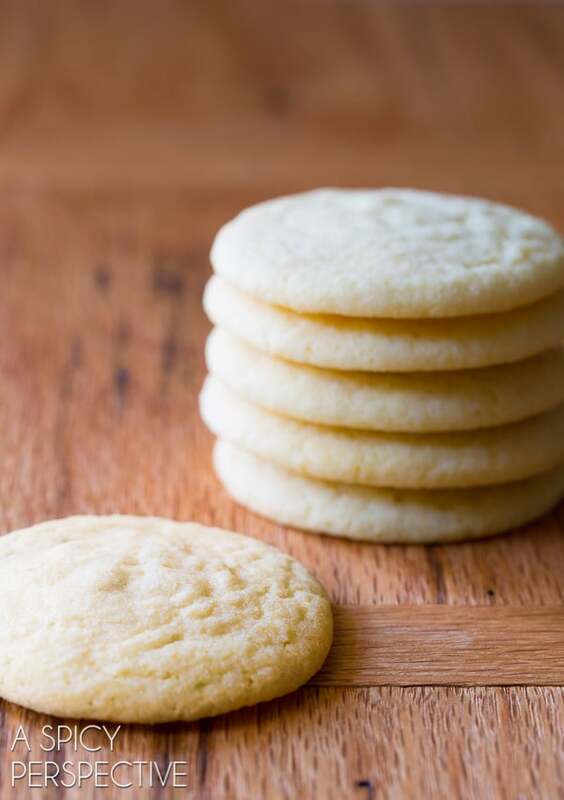 The Best Sugar Cookie Recipe is ultra light, ever so crispy around the edges, glistening with sugar crystals, and packed with a sweet vanilla-wheat flavor. These cookies put all other sugar cookies to shame. 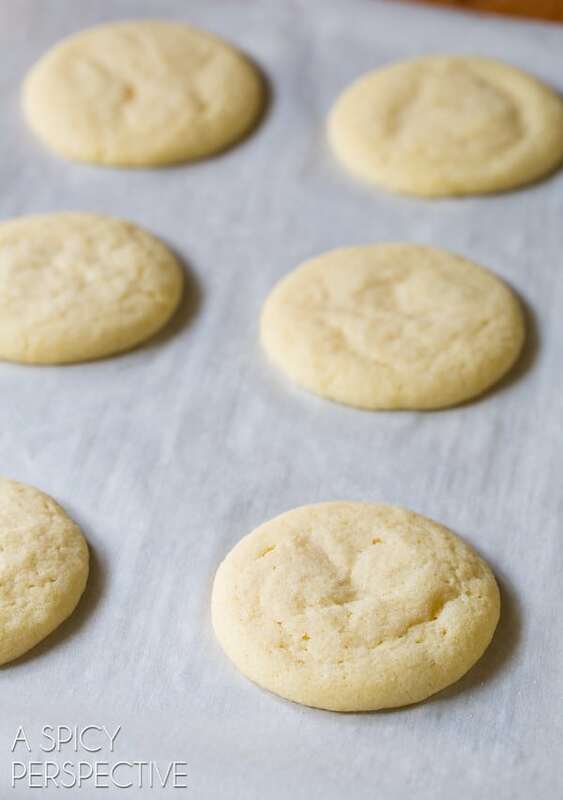 There’s something spectacular about a simple, yet perfect, sugar cookie. Today I’m going to show you how to make sugar cookies that will make your head spin. I bake “The Best Sugar Cookie Recipe” for holidays and parties regularly, and have used this recipe as a base for all sorts of sugar cookie variations. I found the base-recipe at least a decade ago in an old version of Cook’s Illustrated’s Best Recipe Cookbook. Over the years, I’ve tweaked it just a tad, so that now I have the absolute best sugar cookie recipe around. Watch the Video & Check the Recipe Card to Learn How to Make the Best Sugar Cookies! Perfect sugar cookies should always have equal parts butter and sugar. The butter and sugar should be creamed together (beat on high) until the butter is lighter in color and ultra fluffy. You should be able to tell that the sugar is broken down into the butter, because it will no longer look granular. This usually takes several minutes to achieve. 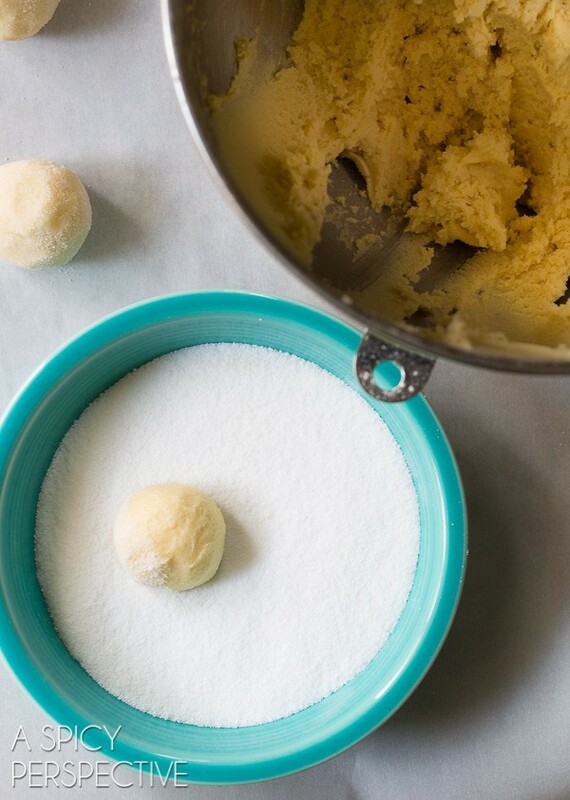 For extra light and delicate sugar cookies, sift your dry ingredients. Measure first, then sift. You need to use a generous amount of good quality sea salt and pure vanilla extract to bring out the best flavor in the cookies. Do not over beat the cookie dough. Think gentle thoughts. 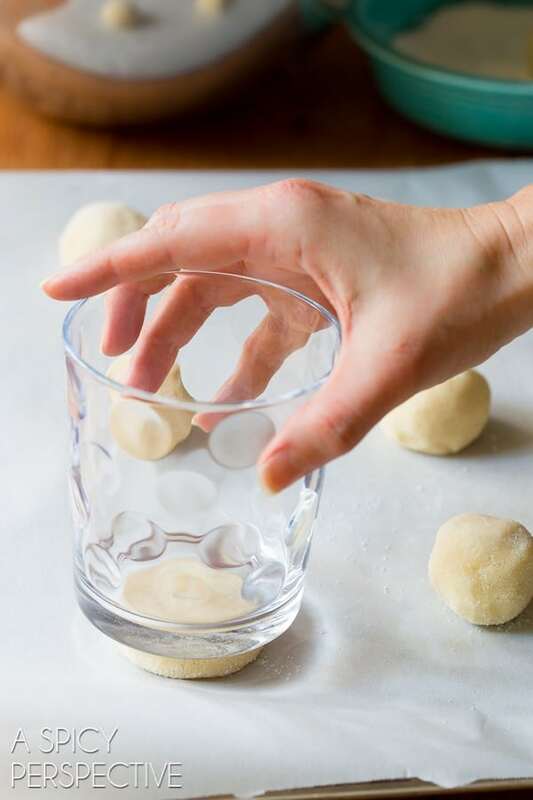 Roll the dough into balls, coat in extra sugar, and press flat with the bottom of a drinking glass. This creates a crispy glistening exterior and a uniform shape. Do not over-bake. The moment the edges look remotely golden, take the cookies out of the oven and cool. Please note, The Best Sugar Cookie Recipe is NOT a roll-out cookie recipe for cookie cutters. It’s just too darn delicate for that. If you’re looking for a roll-and-cut cookie recipe, use this one. The extra egg yolk and flour make the cookies slightly sturdier, so they can handle the abuse. However, these sugar cookies are marvelous with glaze and sprinkles. Hands down, The Best Sugar Cookie Recipe we've ever tested! Learn How to Make Sugar Cookies that everyone will love. Preheat the oven to 375 degrees F. Line several baking sheets with parchment paper. Mix the flour, baking powder, and salt in a medium bowl. 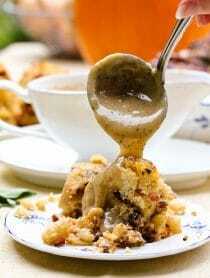 Place the softened butter and sugar in the bowl of your electric mixer. Cream the butter and sugar together on high until light and fluffy, 3-5 minutes. (Don't skimp on the time here.) Then turn the mixer on low and add the eggs and vanilla extract. Scrape the bowl. With the mixer running on low, slowly add the flour mixture. Scrape the bowl and beat again for 30 seconds. Pour some extra sugar into a bowl to coat the cookies. Scoop the dough out and roll into 1-inch balls. The dough should be soft and delicate - don't over-handle. Shake each ball in the sugar bowl to coat, then place on the cookie sheets 2 inches apart. Use the bottom of a drinking glass to press down on each ball, until it's 1/3- to 1/2-inch thick. Bake each sheet of sugar cookies for 9-11 minutes, until the edges are slightly golden and the centers are just barely set. Cool completely on the cookie sheets. BOURBON GLAZE: Once the cookies are cool, whisk 1 tablespoon of heavy cream, 1 teaspoon vanilla extract, and 1 teaspoon bourbon together. Then whisk in 1 cup powdered sugar until smooth. Dip the face of each cookie into the glaze. Allow the excess to dip off, then place them back on the parchment paper to dry. I made these delicious cookies for a dinner at Church. I dipped 1/3 of them in chocolate. Some of the others just dipped in sugar. and In 1/4 of the dough I put a Tablespoon of Cocoa, well chopped Pecans, then rolled them in the sugar as your recipe calls for. They made such a pretty plate, and cookies make a wonderful comfort food for this Memorial Dinner. Lots of compliments – means so much because 30 years ago, due to a serious car accident and brain surgery, I have no taste or smell at all. I depend on friends and my Husband when I am changing wonderful recipes a bit or a lot!! Please wear your seat belts – back seat too!! These cookies were AMAZING AND DELICIOUS! They were delicate, as the recipe stated, but I ended up preferring that. The only thing I did differently was use salted butter, instead of unsalted, since it was all I had. They were still so good, and I think I’ll use salted butter again next time. Best Sugar Cookies I ever made. Made for my son who lives sugar cookies for his birthday. Also made for my friends for my retirement dinner. I liked that it was still soft days later. Great cookie! Amazing cookies ever!!!! My daughters volleyball team loved them, will definitely make them again! I’m not hat into sugar cookies but am making these for my hubs for Valentine’s Day. THESE COOKIES ARE AMAZING and I hope there are some left by the time my husband gets home from work!!! I just made these for a HIghTea and they turned out to be a favorite of the guests. Excellent flavor and texture. I made exactly according to the recipe, but I used heaping tablespoons. It made huge, thick, delicious cookies. Wonderful recipe! I always add a splash of extra vanilla, but these cookies are amazing! 9 minutes is the perfect amount of time. I let my batter chill for 30 minutes before baking, and I was able to shape it for cookie cutters. Trying now in balls to see if I can get thicker cookies, will update after seeing how they turn out. But my friends and husband really enjoyed these cookies. I was wondering if I could add fresh frozen strawberry puree into the dough to make it have a natural strawberry flavor? I wanted to buy frozen strawberries then put them in a blender and then add the blended strawberries into the dough. How much should I add? I also forgot to mention, I’m wanting to add the strawberry puree into the dough and then once baked, use heart shaped cutouts, like your recipe for cutouts. Would that be alright? I’m afraid doing that would add too much moisture to the dough, and they would end up like muffin tops instead of cookies. If it were me, I would swap some of the vanilla extract for strawberry extract. Hope this helps! Typo and rating correction…. Respect! Ok. So I made these cookies exactly by your recipe. I like to make recipes by the way they were shared first. Then I can play with my own ideas. Resect. So now for the test…… Drum roll please…. Next batch is now under construction. My little twirl on this batch will be simple. HALF vanilla and half almond. That’s it! Don’t want to mess with perfection, too much! Can gluten free flour be used? Asking for my grandson. These are great cookies. I needed to triple the glaze, however, and thin it put a lot with extra cream. Could you use aluminum foil instead of parchment paper, and can you dye the actual dough?? Hi I have not yet made these cookies but I want to, and so I have a quick question…do you absolutely have to use sea salt? Or can you use regular iodized salt? Yes, you can use regular table salt. Happy baking! I found your sugar cookie recipe right before my husband passed away. I made it for him and for the hsopice nurses. Everyone agreed they are the absolute best and call it my version of crack. The only thing I do different than you is that I let the dough chill for about an hour and it seems to be so much easier to handle. Can the dough for these cookies be frozen? Loved these! Instead of using a glass to smash them. I just usea teaspoon drop the dough into the sugar. Then placed the cookie dough on the cookie sheet and baked. They expanded a little. I perfer a thicker cookie. I will definitely make these again! Okay so I just made these cookies in my mixer I just got for Christmas let me just say I love it, and I’m on the hut for new attachments. So I made them I halved the recipe, I did the first batch pressed them down with a glass and they were super thin, I did the second batch and didnt press them down and they came out perfect. When I make them again I’ll cook them for 9 minutes. The flavor was amazing. I don’t have one of those big electric mixers, but I do have hand mixer with the little attachments. Can I use it or do I have to have a big electric mixer? 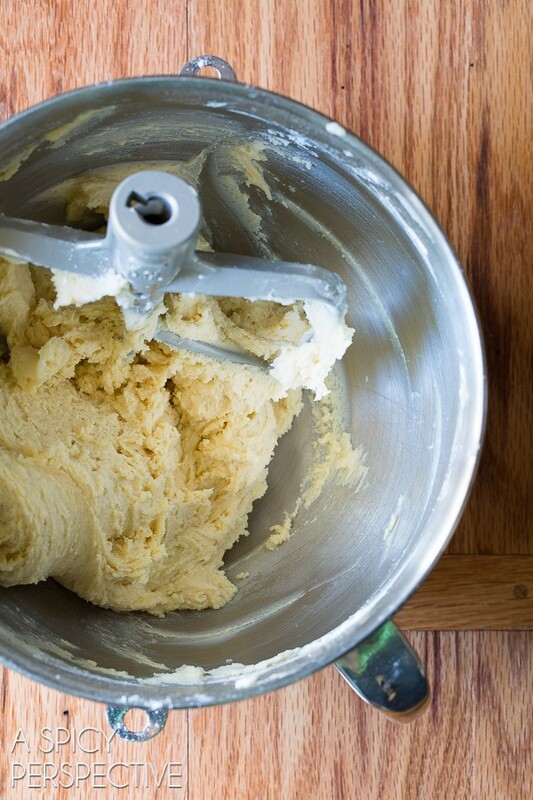 You can definitely use an electric hand-held mixer. Just be sure to cream the butter and sugar together an extra long time, so it’s very fluffy. Happy Baking! Just finished making a batch of these cookies – they are so wonderful!!! I mixed some red and green sugar crystals in the regular sugar to make it a little more festive. Thanks for posting the BEST sugar cookie recipe. I followed the recipe exactly with sifting, parchment paper etc and they were perfect! Yum! I don’t even know where to begin on how awesome these cookies are. I have a drop recipe Ive used since 2011 but it was never quite what I wanted. The dough for these came together amazingly, they cooked perfectly and taste phenomenal! We literally couldn’t quit eaing them! Thanks so much! I don’t usually like sugar cookies but these cookies are just amazing. The cookies melt in your mouth and flavor is on the spot. This recipe is a must try. I’m a 63 year old male and have been a cook since I was an adolescent but haven’t been a baker per say. I’ve dabbled with a carrot cake that I remember from my childhood, making it for my daughter’s birthday. Now all three of my girls have standing orders for that carrot cake for their birthdays and it is spilling over to my grandchildren’s birthdays. So I thought I should take a shot at some cookies and thought sugar cookies should be simple enough. They were. These cookies are so light that when you bite and chew them, they almost disappear in your mouth like cotton candy. The flavor is so rich and delicious. When I brought some out for Sunday football, the grandkids said, grandpa are those your sugar cookies? After I said yes, the cookies disappeared. I have a feeling there’s will be a new standing order at Christmas time. Thank you for sharing your recipe. I’ve been looking for a decent sugar cookie recipe for years. I decided to give this one a try because if the positive reviews it received. I was not disappointed!! 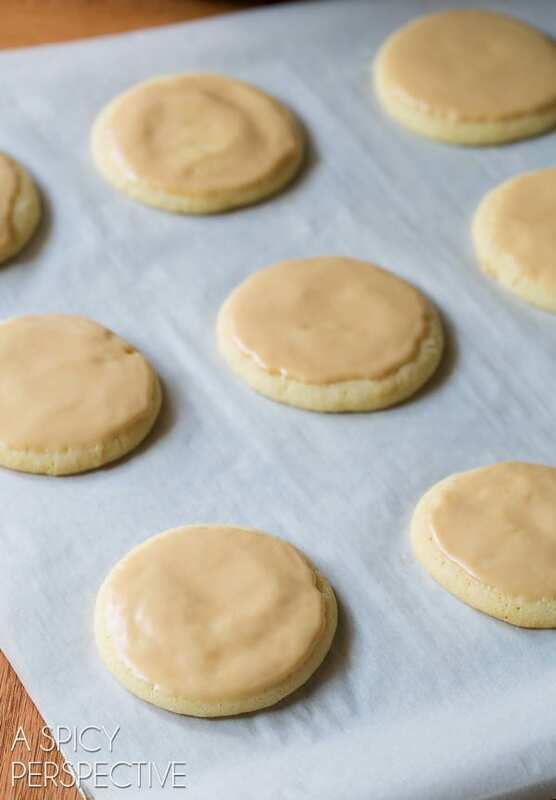 I think I’ve finally found a forever sugar cookie recipe. It’s easy to make and has an amazing flavor. 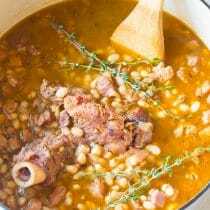 I hope more people give this recipe a chance!! Now the ultimate question: how would I need to alter the recipe to make chocolate sugar cookies? I actually do this quite a bit! Just substitute 1/2 cup of the flour for unsweetened cocoa powder. Happy Baking!! Thank you so much for shsring this recipe. I made these for a christmas party and they were a big hit. I will definitely be baking these again. The cookies are definitely 5 stars…super easy to make even for a beginner. With that said, the glaze recipe listed must be missing something or the measurements are off. 1 cup powdered sugar mixed with 1 tablespoon plus 2 teaspoons of liquid just makes a very thick paste. Had to add 2 more tablespoons of cream and it was still too thick to “dip” the cookies in. Rating only on the cookie though because they are amazing!!! I want to give my sugar cookies an almond flavor. Would I replace the vanilla extract with almond and how much should I use? Can’t wait to try these! For me, I would probably use 2 teaspoons vanilla extract and 1 teaspoon almond extract. Or even 2 1/2 tsp vanilla, and 1/2 almond. Almond flavor is wonderful in cookies, but it can be very overpowering. Hope this helps! I would try putting the almond extract in icing not all but some I’ve been doing that for years ??? Anyway it’s a try . I have recently discovered your website and I absolutely love it! I have made a few batches of these cookies and they really are the best sugar cookies I have ever had! I will never use a different recipe! I also made your cinnamon rolls and they were amazing! I will be making those for Christmas breakfast! Thank you so much for these delicious recipes! I followed this recipe exactly, and it made the absolute best sugar cookies ever! !! Hi, can you use this recipe for cut out shapes? Will you need to chill them for a little before? Thank you! I was looking for the same thing, but she has a recipe just like this one with and extra egg yolk and flour. It’s another link in her description. I was wondering about the food coloring, if we could add it to the dough or not. ? And you can definitely add food coloring. I find the gels provide better color without adding too much additional moisture. I don’t even like sugar cookies, but these were seriously amazing! Not suitable to roll out and cut into shapes, but we just decorated all the round cookies in Christmas themes. Does this dough cut well into shapes? I’ve used this recipe to make the cookies as instructed and they were awesome but I want to make them into Christmas cookies! Do you have to put the BOURBON GLAZE? I tried making Sugar cookies for Christmas 3 yrs ago. This I decided to give a try and OMG!!!! These are the BEST EVER, I only made 4 to test and ate them while still 🔥. I love the recipe the sugar and the butter balance I will make these from now on my go-to cookie recipe . Perfect cookies at 9min! I added chopped pecans! Can I make Christmas cookies with this recipe? As in making them into shapes? is there a way for this recipe to be used to make cut out cookies? I chilled the batter for 30 minutes before using, and it was firm enough to use with cookie cutters. My oven is wonky- often burns things, and I substituted almond extract in place of vanilla, my butter was a little cooler than I’d prefer- even with all these changes the cookies turned out incredible! Yummy and tender and chewy with crisp edges. The edges got a bit dark but that’s definitely because of my oven. Haven’t iced them yet but my kiddos might eat them all before I can get any made! Super quick to whip up and it made a big batch. Definitely keeping this recipe for an easy potluck, church, of family gathering treat. I am out of vanilla extract and read what I could use to substitute it with and it said Maple or Pancake syrup! I was wondering if it would still taste the same and should it equal the same amount of Vanilla? 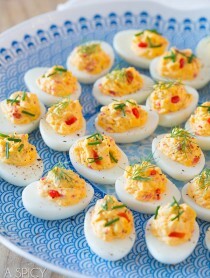 Really want to make these tonight!! What is cream? Heavy cream? Yes, for the bourbon glaze use heavy cream. Happy Baking! Can I use sugar sprinkles instead of granulated sugar to roll them in? I’m so glad you liked them! I’m wondering if you accidentally used salted butter. If so, that would account for the salty flavor. You were right, these cookies are wonderful! A new family favorite! Thanks so much for sharing! These are definitely sugar cookie perfection! This recipe turns out perfect cookies every single time I make it. These cookies were great! They came out very light and airy, just the right ratio of sugar to butter. Thanks for the recipe! Just made my first batch and my family loves them. I was thinking about adding a teaspoon of cream of tartar to my next batch. I miss the flavor it adds. Any thoughts? Excellent! Even better the next day. Definitely a keeper. Thank you for the recipe. I followed directions and it is the best recipe for sugar cookies I have made. The outcome was closer to shortbread than the chewy sugar cookie I was anticipating. Delicious, but yes, SHORTBREAD. I was a bit disappointed. The picture looks like a chewy cookie, and I prefer mine chewy and a bit tangy. Plus, the dough was too soft after all the blending, and melding into balls was quite a challenge. I had to refrigerate for a bit to be able to make into balls. I’m sorry to hear that. It sounds like there’s a possibility you did not cream your butter and sugar long enough, so it was light and fluffy. If you try the recipe again, make sure to beat the butter and sugar on high for at least 3-5 minutes. Yes you can. You might just add a little less salt to the recipe. Happy Baking! These cookies were absolutely delicious! They were so light and fluffy and they just melted in your mouth. A wonderful, buttery tasting sugar cookie. This recipe is definitely a keeper! I’d like to add two different colors to the cookies, but keeping them separate. When should I incorporate into cookie dough and still avoid over working the dough? The moment the flour is fully incorporated turn off the mixer. Separate the dough and mix each half just long enough to have a smooth color. Happy Baking! The Best sugar cookie, is the best sugar cookie. Will be making these all the time. I made these cookies, and they came out amazing! I cut the recipe in half because 45 cookies was a lot however they were almost immediately gone! Great soft melt in your mouth cookie. Will be making again. Hi. Having trouble watching the video. I’m wondering if you removed it? Or maybe the links aren’t correct? I searched your account on YouTube as well. Hmmm. The recipe video is embedded in the recipe form. It’s working on my end. Mind refreshing your browser and trying again? I followed the directions exactly and wouldn’t change a thing. I give it 2 thumbs up and 2 toes…thank you. Delicious sugar cookies! Thank you! Could you make this for cut out cookies or are they too soft? I will be making this as the recipe calls for, although I would love a great cut out cookie recipe. These sugar cookies are amazing !! Kids love them and I have picky eaters!! 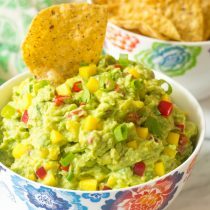 Saving your site for more recipes! O.M.G. these really are the BEST sugar cookies EVER! Seriously! I used a medium sized cookie dough scoop and the dough was so soft I worried something was wrong but nope! It was perfect! My teenage daughter is making these for the second time this week! 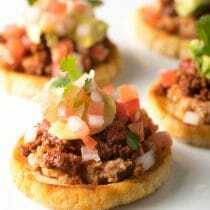 They are so delish and easy to make. Thanks for a great recipe. I just made these sugar cookies last night and they are amazing. So soft & chewy. Since the kids loved them I’ll have to make mare later on. This will be the only recipe I’ll use. I have made these cookies more time then I want to admit, but have a question. Can I make the recipe and then freeze it before I bake or should I bake cookies and then freeze. These cookies came out great. Making these cookies was an absolute nightmare. I was looking for an easy and relatively quick recipe for cookies and thought this one would be perfect. Making the dough went fairly smoothly, I believe it turned out great but a little on the sticky side. I then rolled the balls in sugar and tried pressing them with a cup as recommended. This was impossible! No matter how much sugar I coated them in they still stuck to either the cup or the plate. After this dilemma, I put the dough on a greased cookie sheet, without parchment paper since I didn’t have any at the moment. During baking, I checked on the cookies and to my horror, they just about doubled in size! They all completely flattened out and ran into each other. Trying to get them off the tray was next to impossible. They kept crumbling and breaking, not to mention they really don’t taste good at all in my opinion. I don’t know if I made a major mistake or what, but this recipe just did not work for me. So sorry you had trouble! I would guess your kitchen was a bit warm and your oven runs hot. If you live in warm climates it’s best to keep your kitchen as cool as possible when baking. If you can’t control the temperature, placing the dough in the refrigerator for a few minutes before rolling and baking, helps regulate the temperature a bit. You can purchase an inexpensive oven thermometer that hangs from the rack to check you oven temperature. It’s normal for ovens to run a little too hot or cool. Also, greasing bare cookie sheets is definitely what made them spread so thin. Parchment paper actually prevents cookies from spreading too much. I put the dough into the frig to cool it for rolling into balls and to get your glass to come off of the cookie, spray some baking spray on it before dipping into the sugar for the first cookie. Dip into sugar for every cookie after that. I always use parchment paper. If I don’t have sea salt and just use kosher will it still turn out okay? I’m moving in two weeks and have so much baking stuff that needs used due to not having a kitchen to where I’m moving too. Freaking delicious. Everyone loved it. I made them thick, too! These are the Sugar cookies I grew up with. My mom maid them when we were very young. We children got to help by smashing the sugared glass on the ball of cookie dough to make a flat, pretty cookie. I have been looking for this recipe for years (since we lost our recipe while moving). I am so glad to find this delicious sugar cookie recipe! Thank you! My cookies were thin, delicate and wafer-like, not exactly what I expected. The taste was delicious, light and buttery. I will definitely make these cookies again. Really good sugar cookies. Directions say 9-11 minutes so I put mine for 10 and some got a little burned. Will do less time for the next batch. Are these sturdy enough for kids to decorate? Wow, wow, wow! In love with this recipe! My son had some cinnamon/sugar concoction I used instead of plain sugar, and they were great that way. BUT, I did my final batch with Just sugar coating, and it’s Amazing!!! What an AWESOME recipe! 5-star, for Sure! Definite Keeper! ? I tried the recipe, tweak it a bit by putting part almond extract. It was wonderful! I’ve tried this recipe twice and I still get runny batter every time! Has anyone found the issue with this and how to resolve it? Adding more flour to get the right consistency makes a bland tasting cookie. My oven must run hot. I almost burned the first batch. So temp. down to 350 and time down to 8 minutes. Perfect. They taste wonderful, and so light. can I roll them out and use a cookie cutter for them? Or make the balls larger and flatten until they fit until my cookie cutter shape? These turned out perfectly: an incredibly tender and delicate texture combined with sweet vanilla flavor. Perfect with a cup of strong black coffee. I must say, though, these cookies seem like they would do well to have additional flavors added. I could imagine drizzling them with dark chocolate, or maybe adding orange zest to the dough (or both) to add a pop of bright flavor. Might be great with lavender or a hint of cardamom, too. For those having trouble with the dough sticking to the cup, I think that chilling the dough a few moments or making sure to thoroughly roll them in sugar would help. My cup stuck to a few of the cookies, and so I began adding more sugar to the tops of the cookies and dipping the bottom of my cup in sugar, too. The batter came out the same constancy as cake batter. Chilling it in hopes it’ll come out ok. These are so wonderful tasting. I highly recommend this recipe. I did everything she says to do and they were perfect and soft and tasted great. I just made the cookies last night and they were a success! Only problem i came across was when i was flattening the dough balls with a glass the dough stuck to the glass. Any suggestions on how to fix that? Hi Diane, Did you roll them in sugar first? The sugar should have kept them from sticking. These are fantastic! Everyone who tasted them said that they are hands down the best cookie they’ve ever had! Thank you for this recipe! Can you freeze these ahead? I’m sure you’ve already figured this out, it has been so long since you commented. I did a little experiment, because no one had answered the question here. I formed them, rolled them in the sugar and then flash froze them on a platter until they were hard enough to place in a bag without sticking to each other. When I was ready to bake, a week later, I thawed them on that same platter until they came to room temp; which didn’t take long because of all that butter. And then I just proceeded to flatten and bake according to the recipe. I will note that the bake time on these was a bit shorter for me when baking from frozen, they started browning at around 9 -9min 30 secs compared to 10 – 10 min and 30secs when I bake right after mixing. I don’t know what I am doing wrong with this recipe, but after following the directions I keep ending up with a pasty batter as opposed to a bakeable dough. Please help!!! Hi Natashia! It’s hard to say without watching your process, but it may be an issue with the brand of flour you are using or your method of measuring. I had the same issue. I spoon my flour into the measuring cup because I read on an expert baking site that that is the most accurate way to measure as opposed to scooping. If you scoop you get more flour packed into the cup. I added more flour and still had a batter but I stopped adding once it reached a consistency that I could drop into the sugar and flatten without it sticking. They still came out great and fluffy. Wow these do look like the best sugar cookies!! I’m including these cookies in a Lifehack round-up if that’s okay! These cookies were fantastic! Everyone in my house couldn’t stop raving about them. I don’t think I used enough flour because they were a little moist so I ended up making them drop sugar cookies. I also added 1/2 tbsp of almond extract just to tweak it & they were awesome. I just made a second batch today & I highly recommend letting the dough chill overnight so the flavors can really blend. & best of all they stay soft & fluffy even the next day. Thanks a million!! 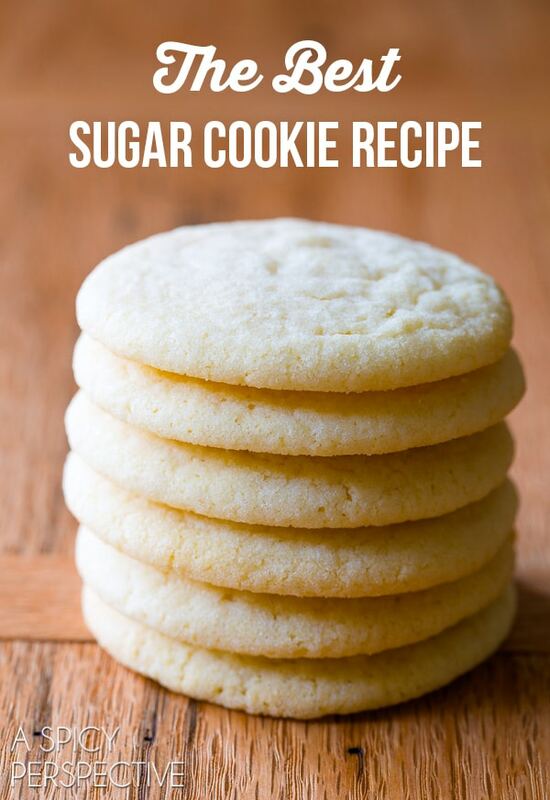 This really is the best sugar cookie recipe everyone who ate them loved them. I need to make them again! These are very tasty, but I couldn’t get them to flatten. They just stuck to the bottom of the glass. Am I doing something wrong? These look delicious … especially with the bourbon glaze. My question: How do I “dip” the face of the cookie in the glaze without making a mess? Is there a secret? Yummy! Just made them, kids approve. Saving this recipe! Thank you! Really beautiful looking sugar cookies! also, loving the simple glaze! That glaze is drool worthy!!! Yum! Well who doesn’t love a sugar cookie!?! These look scrumptious! These look perfect, love the glaze!!! love these and the new site!! What a great idea to roll them in sugar. I’ll have to give these cookies a try. You have to love a good sugar cookie! These are going on my to do list. Love your new look! I’m a cookie lover so these are gonna be baking in our kitchen soon!! Love the new layout!!!! So chic!!! Beautiful new pic as well. these look sooooo good Sommer! and love the new site! I can’t take your word for it … I MUST try these myself! They do look like the best! :) Pinned to make later! These absolutely do look like THE BEST! These sound perfect!! and I LOVE the new design Sommer! You can never say no to a sugar cookie! These look amazing, Sommer! I have the old cooks illustrated recipe–I’m going to have to try your tweaks. These look fabulous! Looks fabulous here, Sommer. 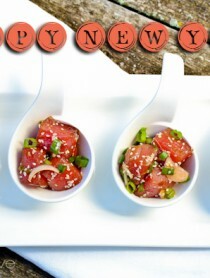 Both the new site + recipe! Happy Easter, friend! Beautiful Sommer! Love the new bright look here too! Happy Wednesday to you! Those are some nice looking sugar cookies!